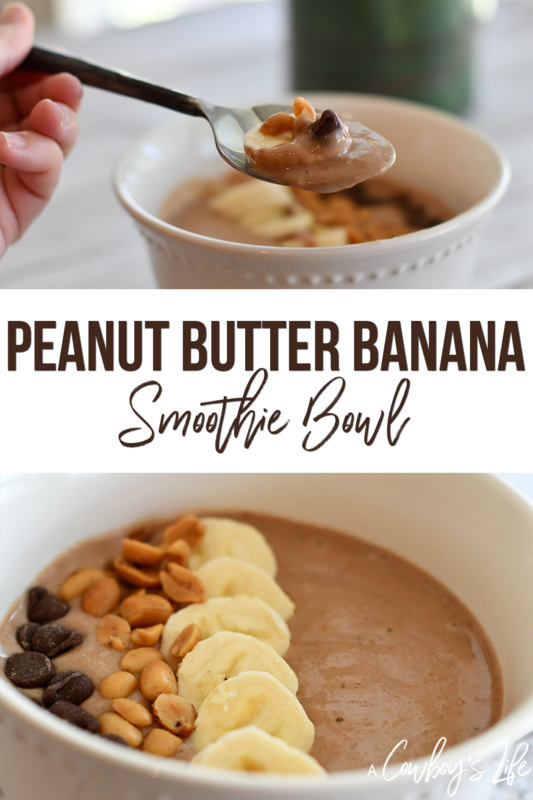 This Peanut Butter Banana Smoothie Bowl is great for breakfast, a snack and even dessert! You can change up the flavor by adding your favorite toppings! I have been meal planning and making smarter choices when it comes to ingredients. So switching to Hood Calorie Countdown was a no brainer. It has fewer sugar, calories and carbs than traditional milk. Plus it tastes amazing and no need to feel guilty about eating my favorite foods knowing that this is a better for me option. 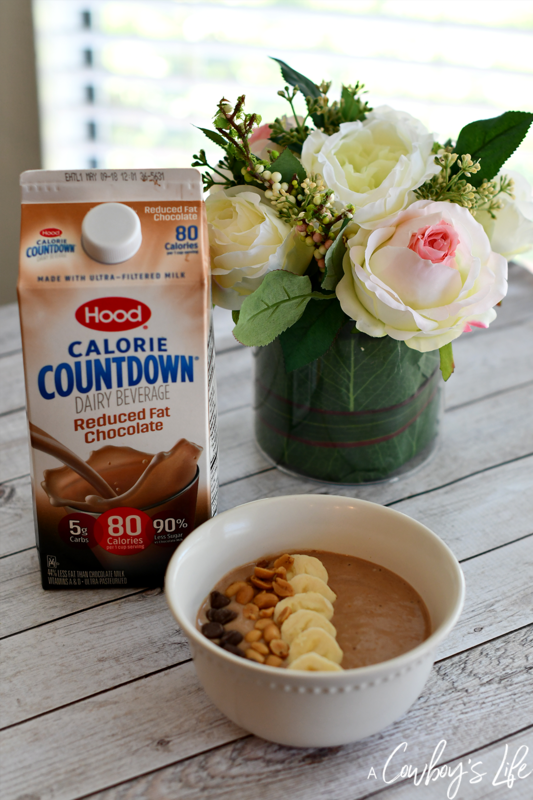 Hood Calorie Countdown has 42% fewer calories, 75% less sugar and 75% less carbs than milk. Using this provides 25% of your Daily Value for calcium and 15% of your Daily Value for Vitamin D (based on a 2,000-calorie diet). You can find it at Walmart in the dairy section. 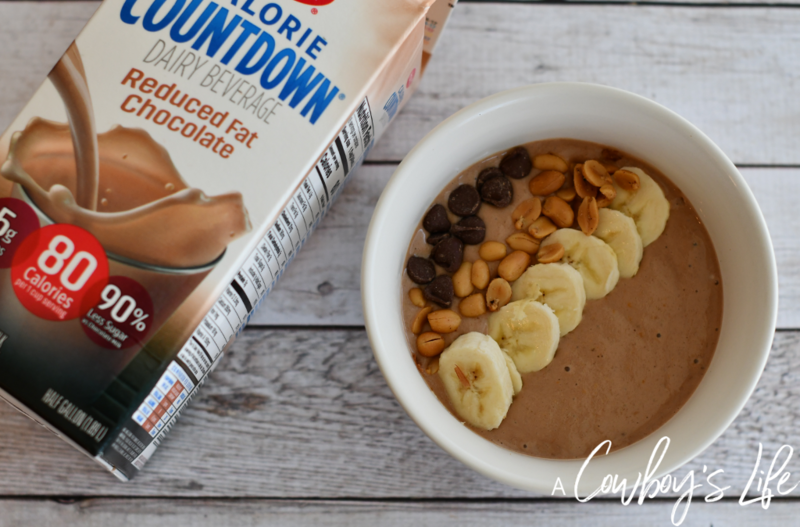 Combine the frozen banana, peanut butter and Hood Calorie Countdown into a blender. 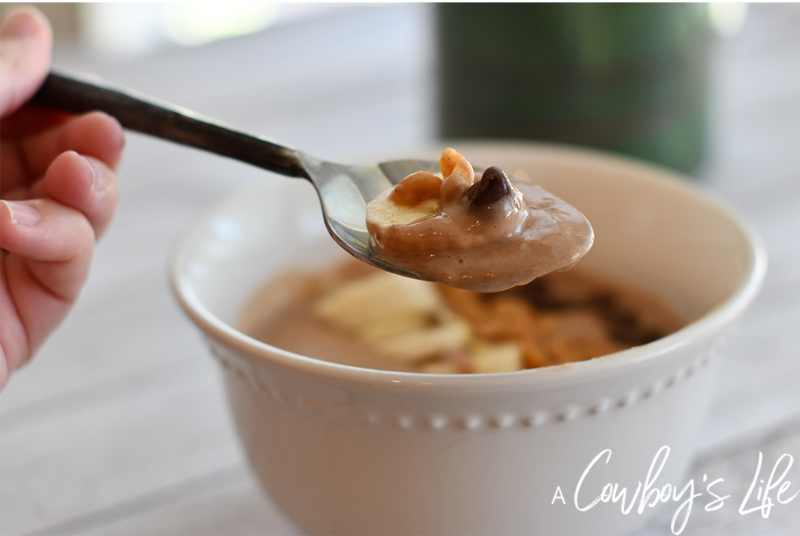 Pour mixture into a bowl and top with chocolate chips, peanuts and banana slices. 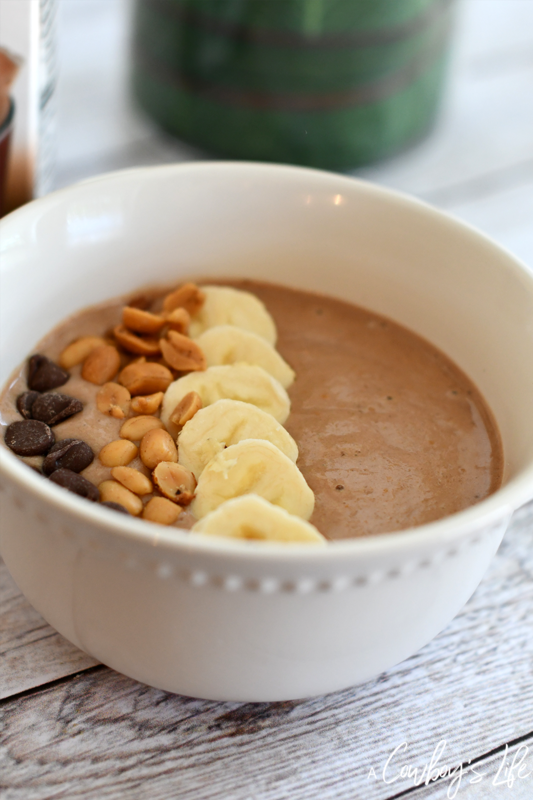 This smoothie bowl is creamy, refreshing and has so much flavor! The key to making this extra creamy is to be sure the banana is completely frozen. With the longer days and warmer temps already happening, I’ve been craving something cool and fresh. 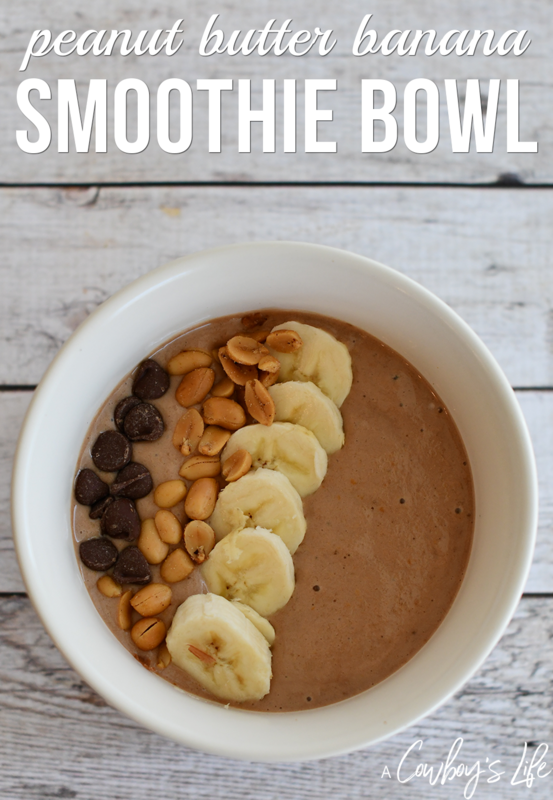 And this smoothie bowl tastes like I’m eating ice cream, but without all the sugar and calories! It’s also a great way to get your kiddos to eat more fruit – they will think they are just eating dessert! Smoothie bowls are such a fun option and can easily change it up so you never get bored with the flavor. They make for an easy treat or a quick breakfast for those that don’t have time to cook anything in the morning. These can be made in under 5 minutes! Do you make smoothie bowls? What are your favorite flavors and toppings?